When an individual is abroad, in a context of foreign language learning, must activate mechanisms of adaptation. Shame and inadequacy are common feelings. Rizzo Amelia, Santoro Simona, Kurt Miray, Sales Jacob Glàucia. When an individual is abroad, in a context of foreign language learning, he/her must activate specific mechanisms of adaptation. Shame and inadequacy are very common feelings. The lacking of spoken language practice contributes to a state of uncertainty about one’s own abilities. This article aims to identify the psychological dynamics involved in interpersonal relationships in a foreign language and is based on the observational method and the direct experience of the authors in an international School of English Language IELS in Sliema, Malta. From a brainstorming session, conducted through media technology, we were able to systematize some reflections that have been confirmed by the literature. Keywords: foreign language, stereotypes, body language. When an individual is abroad, in a context of foreign language learning, must activate specific mechanisms of adaptation. In the initial phase, when he is not familiar with the language, the environment requires an effort to overcome a challenging situation and the individual response depends largely on the personality characteristics. Shame and inadequacy are very common feelings. The lacking of spoken language practice contributes to a state of uncertainty about one’s own abilities. The student’s behavior can indeed be characterized by the fear of making mistakes or offend the interlocutor, by the frustration due to the difficulty in finding the right word, by the tendency to translate the thoughts and the desire to encounter fellow countrymen. The focus of this work is about relationships because we observed that anxiety decreases thanks to the relational role played by the teacher and classmates. The teacher is essential to increase the motivation and knowledge and to facilitate a climate of low-anxiety (Young, 1991; Dörnyei, 1998; Hismanoglu, 2000). Classmates instead allow peer learning both in the classroom and, especially, outside the classroom. to get information from the country of origin for orienting our behavior, based on previous knowledge and experiences. This interpretation is grounded in the theories of social psychology about stereotypes or expectations that guide our evaluation of others and our behavior towards them (Brown, 2000). In line with the observations of Ibrosheva & Ibrosheva (2009) we have noted, however, that these stem mainly from the images broadcast by the media and are often based on biases. What makes the experience of international relations really extraordinary is storytelling. Classmates’ stories, photographs and videos, the music coming from their countries change the other’s perception. Stereotypes fall, people knows different realities and often find similarities. The foreigner is no longer a stranger, but he is more similar to us than we could imagine. At the same time, another process is activated: the narration of ourselves. The effect of these processes leads to different outcomes. The first is the improvement in learning the language, which in this phase is finally used to express ideas and opinions. Of course, as a second language, it requires a meaning negotiation (Bygate et al., 2003), since in the daily life the most important goal to achieve is to be understood. Sometimes the relationship could be impaired by foreign language – if we consider that both interlocutors aren’t using their native language – because one misplaced word can completely change the meaning of what it means to say, creating misunderstandings, especially when the subject is delicate such as politics and religion. Messaggio pubblicitario According to Watslawick, Beavin and Jackson (1973), humans communicate with each other digitally and analogically. It means that we can represent the reality through symbols (language) or behavior. All non-verbal communication is analogic such as posture, gestures, facial expression, voice inflection etc., and the body language could be helpful in that cases. 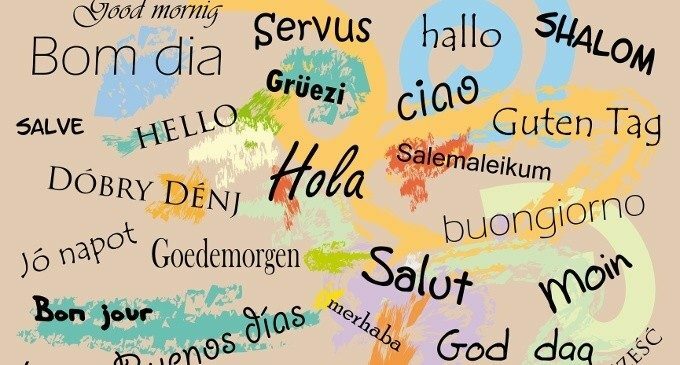 What is observed is that in most cases of relationships with foreign language it begins with more analogic and less digital comunciation and, as the individual becomes familiar with the foreign language, digital communication grows. Though is that in most cases these relationships become so narrow, that the language ceases to be a deterrent and becomes the main tool for communication, whether translating emotions and feelings or translating desires. Second, the time spent outside classroom, made of pure interpersonal relationships, creates a specific learning context not deliberate and intentional, the implicit learning, based on unconscious processes of generalization and abstraction (Smidth, 1995). In this process, technological devices – chat applications and social networks such as Facebook – can play a facilitating role, as scientifically demonstrated (Dekhinetet al., 2008). On one hand they allow students to practice writing skills, on the other helps to mantain relationships and foster mutual acquaintance by increasing the levels of coscientiousness and extraversion (Kao & Craigie, 2014). The third point concerns more profoundly the concept of identity. The experience of social comparison (Festinger, 1954) allows to create more complex representations of self and other. According to the Social Cognition and Object Relation Theories the more mature people representation is “psychologically minded, insight into self and others, differentiated and shows considerable complexity” (Westen, 1991). Hence, the experience of reconizing similarities and differences is an exercise of individual growth, which leads to better know positive and negative aspects of self and others. The last point is that speaking a second language “opens up the mind” because on one hand it is the point of contact towards many other cultures as on the other hand it gives the feeling of being part of the world that usually in everyday life is ingored. It creates a mental dimension of immediacy and simplicity that allows you to get to the perfect understanding of the other’s feelings even if the verbal expression is not appropriate, increasing the level of Self-trascendence (Cloninger et al., 1993). Finally, another interesting instrument in the sphere of interpersonal relationships is music. Listening to music, playing musical instruments and singing in a foreign language has been a binding agent which leads to think that music is a universal language. Also in this case the results are reflected on different levels. As stated by Ludtke et al. Singing can facilitate foreign language learning. On the one hand helps to recall and produce spoken phrases, on the other hand allows to share feelings and emotions that go beyond words. People understand each other through communication, but sometimes speaking the same language is not enough for people to empathize. Even if they come from the same culture, understanding people’s emotion it’s a very diffucult challenge. We are social beings so we need to communicate (Ruesch & Bateson, 2006). If we master a foreign language we initially can not communicate easily. But is necessary to point out, from our observations, that having the same culture and same experience is not a prerogative for communication. The belief that people who have the same culture and experience can empathically understand each other is an assumption. A true understanding needs a lot of common things. For example, people experience an intense difficulty to express and understand unpleasant situations in a foreign culture and language. Nevertheless, from our experience, people who don’t speak the same language can utilize more one’s own behaviour, by treating each other with friendliness and, as a result, can build a new common understanding on the basis of their relationship quality. Brown R. (2000). Psicologia sociale dei gruppi. Il Mulino, Bologna. Bygate, M., Swain, M., & Skehan, P. (2013). Researching pedagogic tasks: Second language learning, teaching, and testing. Routledge. Dekhinet, R., Topping, K., Duran, D., & Blanch, S. (2008). Let Me Learn with My Peers Online! : Foreign Language Learning through Reciprocal Peer Tutoring.Innovate: Journal of Online Education, 4(3), n3. Dörnyei, Z. (1998). Motivation in second and foreign language learning. Language teaching, 31(03), 117-135. Festinger, L. (1954). A theory of social comparison processes. Human relations,7(2), 117-140. Hismanoglu, M. (2000). Language learning strategies in foreign language learning and teaching. The Internet TESL Journal, 6(8), 12-12. Ibroscheva, E., & Ibroscheva, J. (2009). Do media matter? A social construction model of stereotypes of foreigners. Journal of Intercultural Communication, (16). Kao, P. C., & Craigie, P. (2014). Effects of English usage on Facebook and personality traits on achievement of students learning English as a foreign language. Social Behavior and Personality: an international journal, 42(1), 17-24. Ludke, K. M., Ferreira, F., & Overy, K. (2014). Singing can facilitate foreign language learning. Memory & cognition, 42(1), 41-52. Peachey N. (2005). Listening to body language. Web site: http://www.teachingenglish.org.uk/article/listening-body-language. Watslawich P. (1921). Pragmàtica da comunicação humana: um estudo dos padrões, patologies e paradoxos da interação. Watslawich P., Beavin J.H. Jackson D.D. ; tradução Alvaro Cabral, São Paulo: Cultrix, 2007. Schmidt, R. W. (Ed.). (1995). Attention and awareness in foreign language learning (Vol. 9). Natl Foreign Lg Resource Ctr. Tabucchi A. (1991). Requiem, uma alucinação. D. Quixote. Westen, D. (1991). Social cognition and object relations. Psychological Bulletin,109(3), 429. Young, D. J. (1991). Creating a Low‐Anxiety Classroom Environment: What Does Language Anxiety Research Suggest?. The Modern Language Journal,75(4), 426-437. Ruesch, J., & Bateson, G. (2006). Communication: The social matrix of psychiatry. Transaction Publishers. Amelia Rizzo is a PhD student in Psychological Sciences at the University of Messina, Italy. Simona Santoro is attending a Masters degree in Clinical Psychology, at the University of Palermo, Italy. Miray Kurt is a Doctor in Psychology, graduated at the Istanbul Aydin University, Turkey. Sales Jacob Glàucia is a Psychologist and Psychoterapist, graduated at Unicesumar, the University Center of Maringa, Brazil. They met in Malta in the occasion of the english language course, from wich started their scientific collaboration. The authors wants to thanks all our classmates and friends met at IELS, Sliema.